Matt Reid is our Pro and is well qualified to coach players of all levels and abilities, including children. At the age of just 16 years old, Matt was already representing the UK in major golf tournaments before turning pro at 18. He completed his P.G.A. training in 1994 and came just near London to Mardyke in Essex in 1995. All aspects of golf training can be covered in a private lesson; woods, irons, putting, golf swing tips, short game and bunker shots together with all rules and etiquette of the game. 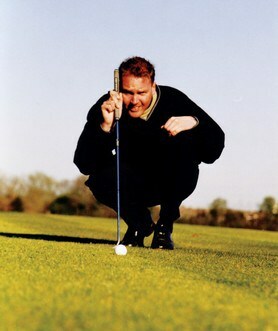 If you are just starting out or are serious about improving your game Matt has a wide range of golf tips and competitive experience that will help to fast track your improvement. You have a wide range of options to choose from, from a one-hour individual golf lesson to concentrate on a particular aspect of your game to a 9 hole or 18 hole playing lesson. Matt’s golf coaching is personalised to work around you, whether you are a total beginner, a mid to high handicap player, have a single figure handicap or are looking to compete in high level competitions. The golf lessons and packages can be tailor made to suit individual requirements.